CCGS does not endorse any product mentioned here. Editorial comments are in italicized bold Arial type. about the American founding fathers and their involvement with horticulture and agriculture. you may think twice about reading the book, the review is very entertaining. southern California, including the genera California, Erodium and Geranium. Browse the site for lots of other beautiful images. to leaf yellowing but white, pink and lavender ones are more sensitive to yellowing. after the first week of propagation may be due to a nitrogen deficiency. gives an idea of the information about each species on their website. 0.75 m. The glaucous stem is soft smooth and shiny. 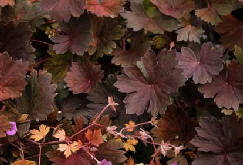 The foliage is attractive, smooth and glaucous. 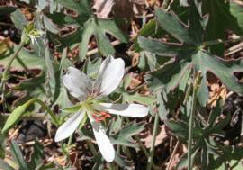 The site includes many species of Pelargonium. The following site comes from a Chicago gardener. zone 5 the pictures are worth the visit. illustrations cover many plants indigenous to South Africa. It is well worth visiting. into a real gardener. The columnist is Kimberly A.C. Wilson writing in The Oregonian. mistakes that we all have made. about the issue culture of these cultivars. The authors are Rashmi P.
contributes $4 billion annually to the worldwide economy, roughly half of that occurring in this country. Jeffrey P. Mower from The University of Nebraska and Jeffrey D. Palmer from Indiana University.